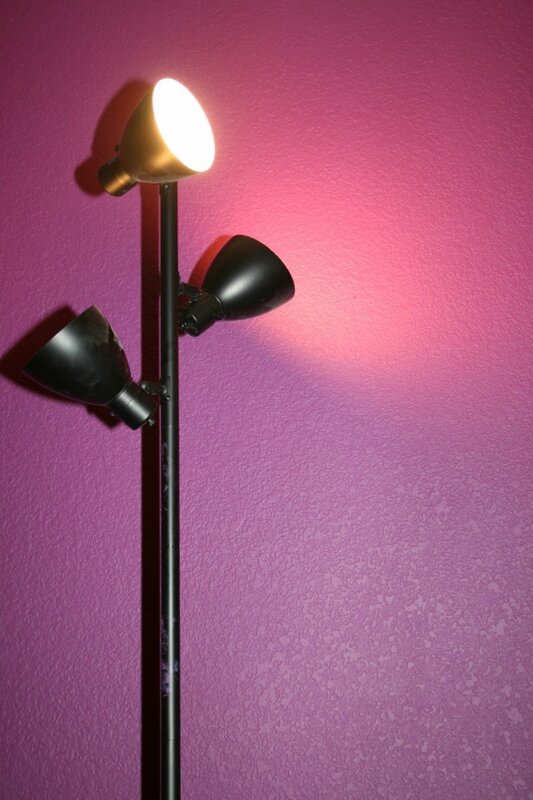 It was a white wall splashed with an infusion of a vibrant purple-pink color. My cousin, Kimberly, started a project for her room and this is the color she decided on. With a sleek black light against the colorful wall, the contrast and drastic change could be felt. Love the color choice!